1. Kenneth Seeskin, From Monotheism to Scepticism and Back Again. 2. Joshua Moss, Satire, Monotheism and Scepticism. 3. David Ruderman, Are Jews the Only True Monotheists? Some Critical Reflections in Jewish Thought from the Renaissance to the Present. 4. Benjamin Williams, Doubting Abraham doubting God: The Call of Abraham in the Or ha-Sekhel. 5. Károly Dániel Dobos, Shimi the Sceptical: Sceptical Voices. in an Early Modern Jewish, Anti-Christian Polemical Drama by Matityahu Nissim Terni. 6. Jeremy Fogel, Scepticism of Scepticism: On Mendelssohn’s Philosophy of Common Sense. 7. Michael Miller, Kaplan and Wittgenstein: Atheism, Phenomenology and the use of language. 8. Federico Dal Bo, Textualism and Scepticism: Post-modern Philosophy and the Theology of Text. 9. Norman Solomon, The Attenuation of God in Modern Jewish Thought. 10. Melissa Raphael, Idoloclasm: The First Task of Second Wave Liberal Jewish Feminism. 11. 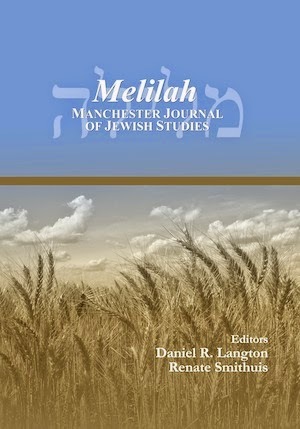 Daniel R. Langton, Joseph Krauskopf’s Evolution and Judaism: One Reform Rabbi’s Response to Scepticism and Materialism in Nineteenth-century North America. 12. Avner Dinur, Secular Theology as a Challenge for Jewish Atheists. 13. Khayke Beruriah Wiegand, “Why the Geese Shrieked”: Isaac Bashevis Singer’s Work between Mysticism and Sceptics. 1. Marc Zvi Brettler and Amy-Jill Levine, The Jewish Annotated New Testament: Retrospect and Prospects. 2. Anders Runesson, Saving the Lost Sheep of the House of Israel: Purity, Forgiveness, and Synagogues in the Gospel of Matthew. 3. Jody A. Barnard, Anti-Jewish Interpretations of Hebrews: Some Neglected Factors. 4. Etka Liebowitz, Hypocrites or Pious Scholars? The Image of the Pharisees in Second Temple Period Texts and Rabbinic Literature. 5. Pere Casanellas and Harvey J. Hames, A Textual and Contextual Analysis of the Hebrew Gospels translated from Catalan. 2. Ghil'ad Zuckermann, Comparative Constructions in "Israeli Hebrew"